If you have been seriously injured in a motorbike accident and aren’t sure where to turn, contact a motorcycle crash lawyer in Boise who can help you navigate the process of recovering compensation. Of all drivers, motorcyclists face one of the highest injury rates. They are not afforded the protection of a surrounding vehicle, which means they are much more likely to suffer serious injuries in the event of a crash. But when you aren’t the cause of the wreck and someone else’s negligence has harmed you, you shouldn’t have to cover the costs. 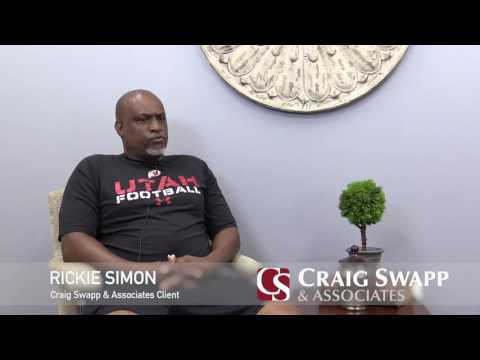 If you are prepared to file a personal injury claim to obtain full compensation for your suffering, speak with a Boise motorcycle accident lawyer at Craig Swapp & Associates today. We will deal with dishonest or difficult insurance companies, calculate a reasonable request for compensation, and investigate who should be held accountable for your injuries so you can spend your time on your recovery. You need to be aware that the insurance company is not on your side. Over the years, insurers have become known for their use of the “reckless biker” stereotype as a way to place blame on you, where it shouldn’t be. They attempt to falsely paint you as a reckless, havoc-wreaking heathen of the road because doing so can significantly lower the amount they’ll be required to pay you. If they can prove you were anything other than a safe biker, they stand to save some serious cash. We have zero tolerance for insurance companies that put their profits ahead of the needs of those they are obligated to financially provide for in the case of an emergency. We will stop at nothing to keep the insurer from smearing your good name. A Boise motorcycle accident lawyer will fight for every cent you’re entitled to. Once we are able to place a value on how each of these areas of your life has been affected, we will have a clear idea of what your claim is worth and what an acceptable offer from the insurance company or negligent party would be. We will settle for nothing less than what you deserve. We will examine the evidence in your motorcycle accident, including police reports, witness statements, and the vehicle maintenance and safety logs of all vehicles involved in the accident to determine who is at fault for your injuries. The manufacturer of the parts in either vehicle can be held accountable if a part was faulty or malfunctioned. The manufacturer and technician responsible for maintaining the safety of the vehicle have an obligation to report or replace parts that are known to have been recalled. If they failed to meet that duty, they can be named as defendants in your Boise motorcycle accident case. If debris in the road, a pothole, or another road safety hazard caused your accident, we can seek compensation from the government road authority for failing to maintain safe roadways. But the most common cause of motorcycle accidents has to be the other driver. Many drivers engage in distracted driving, which is when your attention is focused on something other than the road. This could involve responding to a text message, changing the radio station, looking at a navigation system, or being otherwise distracted while driving. In any event, distracted driving puts thousands of motorcyclists at risk for injury every day, and we will work to prove the other driver’s negligence if his or her unsafe driving practices caused your injuries. Unfortunately, motorcycle accidents are among the most common causes of serious, life-changing injuries. That’s due to a lot of factors, but there are two primary reasons: 1) Other drivers are not looking out for motorcyclists the way they look out for other vehicles and pedestrians, and 2) motorcycle riders have little protection to create a barrier between their bodies and a speeding vehicle. Brain Injuries – Even if you were wearing a helmet at the time of your crash, the sheer force of another vehicle slamming into you is enough to render a motorcycle helmet useless. You could end up with a traumatic brain injury. The effects of head injuries are wide-ranging, but they can result in an inability to work or care for yourself, changes to your personality, chronic, debilitating pain, and other serious effects. Spine Injuries – If you were rear-ended on your motorcycle or landed on your back after being ejected from the vehicle, it’s likely that you suffered some damage to your spine or back. The most serious possible effect of a spine injury is total paralysis, but you could also end up with long-term pain, partial paralysis, and the inability to care for yourself or work. Broken Bones – Broken arms, legs, ribs, and facial bones are especially common after accidents involving motorcycles. That’s because a multi-ton vehicle can easily snap or fracture any bone in your body. Aside from the extreme pain tied to broken bones, you might be unable to work while the injury heals, meaning you’ve lost income. You might also suffer permanent loss of mobility, meaning you can’t enjoy all of the activities you once loved. Road Rash – When you are ejected from your motorcycle and your body scrapes along the concrete or asphalt, you can end up with a painful injury called road rash. While this injury usually heals after proper treatment, you’re certain to rack up some substantial medical bills as you seek the treatment you need. Amputations – The most serious motorcycle crashes can lead to lost limbs. The amputation can occur during the crash itself or as part of emergency medical care rendered after the accident. Either way, your life will never be the same if you have lost a limb in a motorcycle accident. PTSD – Although it’s not a physical injury, post-traumatic stress disorder has very visible effects on victims’ lives. Motorcycle accidents can be serious enough to cause PTSD, which can lead to paranoia, fear, and anxiety surrounding riding motorcycles or driving in general, in addition to difficulty relating with family members, friends, and co-workers. We’ll be here for you from start to successful finish. Along the way, we expect that you will have plenty of questions. We’re happy to answer them. Below, we’ve answered a few of the most common questions we receive. Will I still have a case if I wasn’t wearing a helmet? You will still be able to file a claim against the person or people responsible for your injuries. However, your award could be reduced by the percentage of fault you carry for not having worn your helmet. So if you are found to be 10 percent liable for your head injuries, you will still walk away with 90 percent of your awarded amount. What if my passenger caused the accident? If your passenger’s carelessness caused you to be injured in a Boise motorcycle accident, you can pursue compensation from him or her. We realize this can be a difficult situation because the passenger is likely a friend or family member. We will be sure to handle your case delicately to protect the relationship with your passenger while we continue to pursue your claim. Who is responsible if I was in a single-vehicle crash? It’s easy to assume you won’t be able to sue if your motorcycle was the only vehicle involved in your accident. However, any number of things could have caused you to crash. A malfunctioning part on your motorcycle, debris in the road, or some other factor could be the cause. Your attorney will investigate the cause of the accident and name all the responsible parties in your claim. What happens if debris in the road or a pothole caused the accident? State and local government agencies are responsible for maintaining the safety of the roads you travel on. If a pothole, debris, unsecured construction zone, or missing street sign played a part in your accident, your Boise motorcycle accident lawyer will name the appropriate liable party in your claim for compensation. Should I accept the insurance company’s offer? The insurance company will almost never make your first offer a reasonable one. Insurers have their best interests in mind, not yours. This is why accepting the first offer that comes your way can be problematic, no matter how tempting it is. Your claim is likely worth a lot more than the insurers are willing to pay you. I can’t afford a lawyer. Can I handle my claim on my own? You certainly have the right to represent yourself, but it won’t be easy. Injury law is complicated, and the assistance of an experienced attorney can truly mean the difference between a win and a loss. Luckily, our firm works on a contingency fee basis, meaning we don’t charge you unless we win your case. This fee structure is meant to make it easier to afford great legal representation. Don’t let an unscrupulous insurance company kick you when you’re already down. Fight back against wrongful denials and get the compensation you deserve by working with a qualified attorney at Craig Swapp & Associates. We’ll work hard to thwart any attempts by the other side to give you less than you’re entitled to. Schedule your no-cost consultation with a Boise motorcycle accident lawyer today by filling out the contact form we have provided below or giving us a call at 1-800-404-9000.